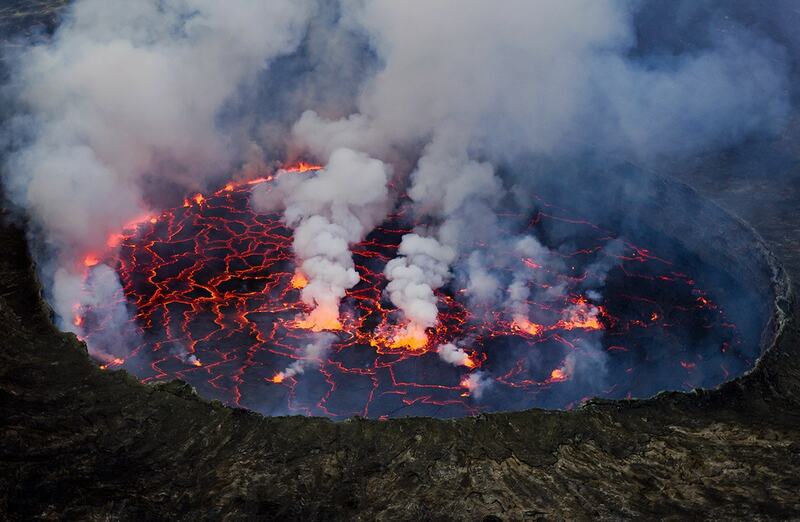 The small and otherwise undistinguished Kifuka village in remote part of the Democratic Republic of the Congo became world famous in 2004 – 2005: the data obtained from NASA’s Lightning Imaging Sensor confirmed that nowhere else in the world lightning strikes that often as here. Lightning strikes Earth some 1.4 billion times per year. More than 2,000 thunderstorms are happening simultaneously over the Earth with some 100 flashes every second. Only some 20 – 30% of strikes go from cloud to ground. Lightning is more frequent over the land because the land surface in the day gets more heated, causing more intense air convection, what in turn leads to lightning. Southern slopes of northern Himalayas. In each of these locations take place such intense thunderstorms which are unseen in Europe. 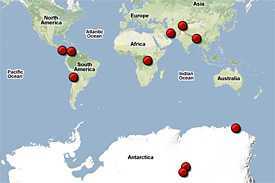 But out of these locations Central Africa has the highest intensity of lightning bolts. Kifuka is located just 300 km south from the equator, in a zone of tropical wet climate. The summer lasts here for whole year and thunderstorms are frequent throughout the whole year. Masses of humid air have travelled 1,700 km from the Atlantic ocean over the second largest rainforest of the world and finally they have reached the very first mountains: hills around Kifuka reach height up to 1 kilometre above the sea level. As a result Kifuka experiences violent thunderstorms unprecedented anywhere else in the world: each square kilometre experiences approximately 158 lightning strikes per year – one lightning strike per 6,300 square metres. For comparison in Europe north from Alps density and frequency of lightning is 150 – 300 times lower. World record of Kifuka was announced six – seven years ago and the research goes on since then. Wondermondo does not possess information whether Kifuka still holds the record. How are the lightning flashes counted? 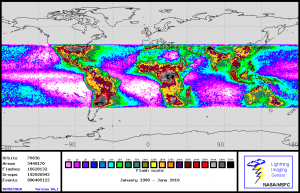 Researchers of lightning obtained powerful instrument with the launch of NASA’s Lightning Imaging Sensor (LIS) on Japanese satellite in November 1997. 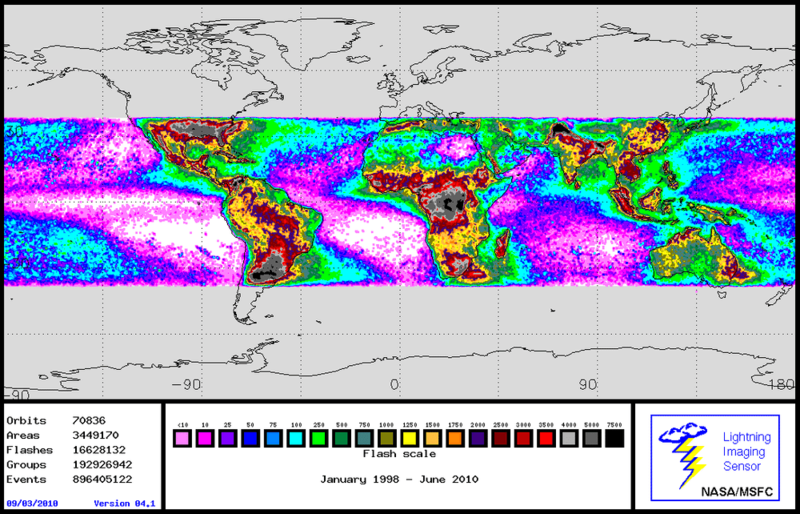 LIS detects the distribution and variability of all kinds of lightning in the tropical regions of our planet. Instrument records the time when lightning occurs, measures the radiant, determines location. It manages to detect even most of day lightnings. This information is of high value to climate researchers because it helps to understand the mechanism of global storm convection and dynamics. Data from LIS, including fairly recent data, is available here. 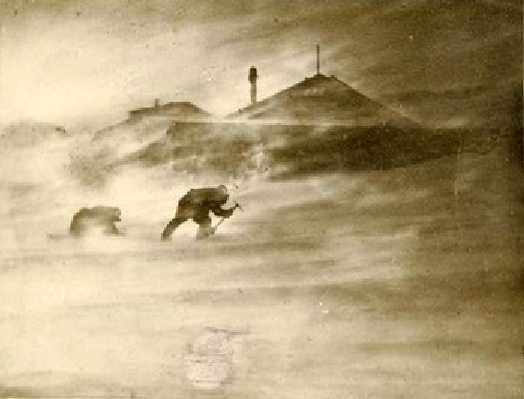 Quality Controlled LIS Browse Images, Lightning & Atmospheric Electricity Research at the GHCC. Accessed on November 7, 2010. This new book provides a focused set of topics suitable for advanced undergraduate or graduate courses on lightning. It presents the current state of the art in lightning science including areas such as lightning modeling, calculation of lightning electromagnetic fields, electromagnetic methods of lightning location, and lightning damaging effects and protective techniques. Does lightning strike twice in the same place? How does a lightning rod work? What is ball lightning? How many thunderstorms are in progress in the world at any one time? Why does lightning zigzag? What is St. Elmo’s Fire?